The Schaeffler Group is one of the World’s leading manufacturer of Highest Quality Ball, Needle Roller Bearings with German precision technology. 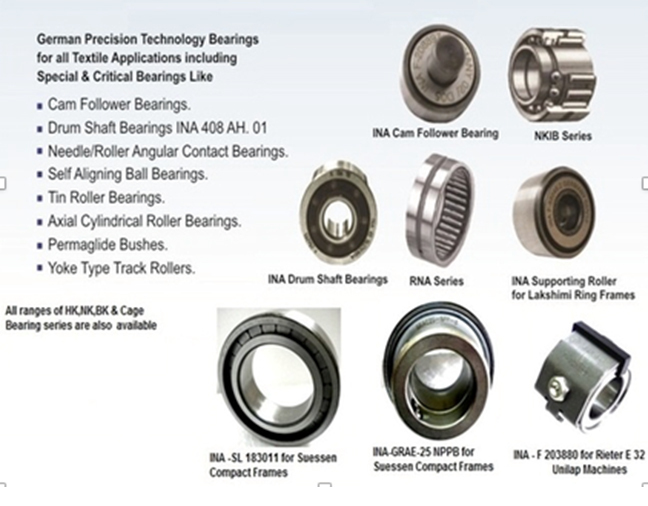 Their quality reputations show that almost all the textile machinery manufacturers use INA bearings in their machines to their critical applications to ensure below benefits. Zero Failures & withstands higher RPMs, Hence Longer life. TeFoc as an Authorised Distributor for INA bearings, stocks & sells these bearings from Coimbatore & made these bearings easily available to the Spinners. INA Is the Only brand Textile Machine Manufacturer OEM Supply all over the World.